We supply and fit towbars for the Dodge Journey, Dodge Caliber and the Dodge Nitro vehicles. The Dodge Journey has a 2.4lt Four-Cylinder Engine or a V6 engine which makes it a powerful engine at the heart of any road trip and making it the perfect vehicle for towing. Whether you are towing a large caravan, horsebox or a trailer tent this car will tow for your needs. We stock the fixed Flange and the detachable Swan Neck Towbars for this vehicle. The Dodge Journey (some models) has a ParkView® Rear Back Up Camera and we would recommend the detachable towbars so it doesn’t black the view. The Dodge Journey was built to grow with your family, so you can continue to bring your adventures along for the ride. We also have a range of cycle carriers to suit your Dodge Journey. 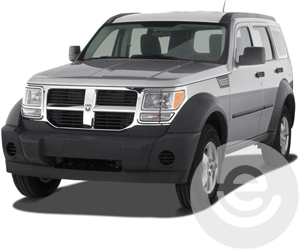 The Dodge Nitro is a compact SUV that was produced by Dodge from the 2007 to the 2012 model year. The Nitro became Dodge's first compact SUV model since the Raider was discontinued in 1990. It also became the first modern Dodge branded automobile to be sold in Europe since its introduction in early 2007. Compared to its shared platform with the Jeep Liberty, the Nitro is longer, lower, and wider. The extra length is split between the rear seat and the cargo area. The Dodge Nitro is a compact SUV in which we stock towbars for the 2007 to 2010 model. 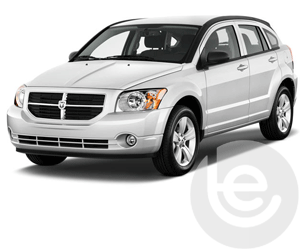 We supply and fit towbars for the Dodge Caliber in the fixed flange towbar and the detachable swan neck towbars. 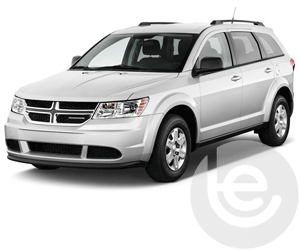 The Dodge Journey is the perfect vehicle for towing as it has a 2.4lt engine. We have the fixed flange and detachable swan neck towbars for the Dodge Journey. To find the towbar fitting price for your Dodge, simply select your model below. We are experts in our field and the price you see for your Dodge tow bar is the complete price that you pay for the towbar, towing electrics and most importantly the complete installation. All our Dodge towbars are 100% guaranteed and are installed by one of our fully trained technicians, with full technical support and our helpful office staff we are the number one company to install your towbar. Our gallery of Dodge installations shows the wide range of recent installations. Browse our range of Dodge towbars and towing electrics for your car. On Facebook? You can view a gallery of towbars fitted to Dodge cars here. Our Facebook site showcases a range of Dodge Towbar fittings for all Dodge models, which we have fitted to in the past. 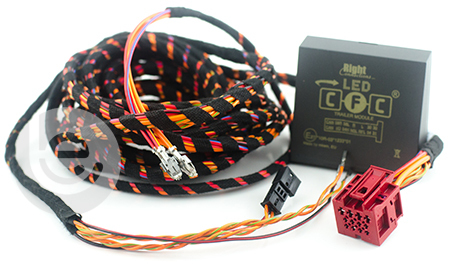 This functionality extends to the tow bar wiring which allows Dodge’s built in safety features activated, Trailer Stability Control, Parking aids are disabled while towing to work seamlessly with your trailer or caravan attached. Why choose Towbar Express for your Dodge towbar installation?